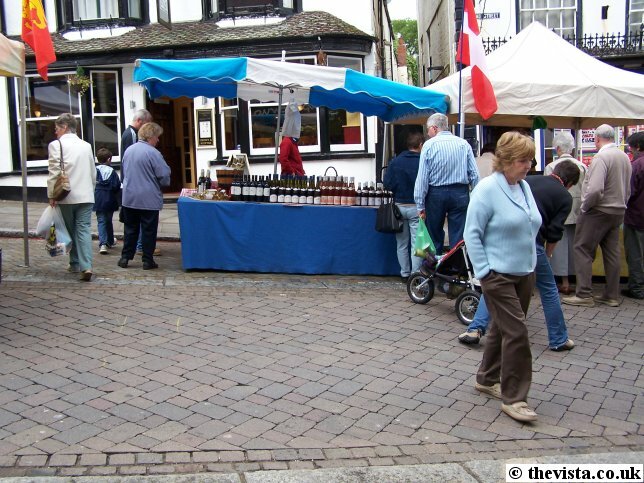 The French Market was made up of "Marché de France", who are a team of French traders from Normandy, and they setup their stalls in the centre of Ross. 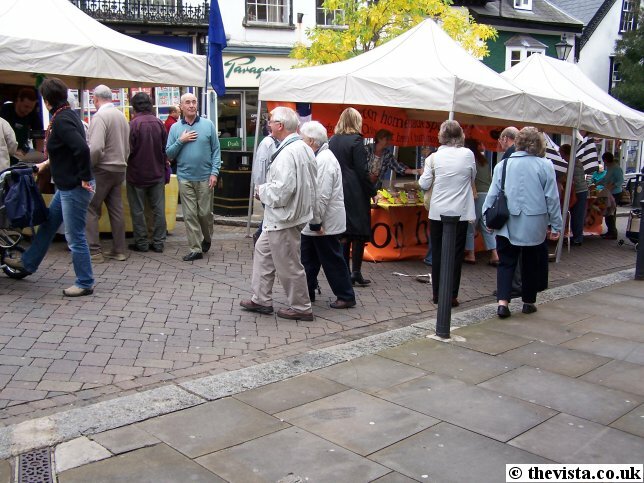 They offer a variety of stalls with something for everyone. With the Market House was looming over the event and formed the perfect backdrop it definitely made the event more interesting and it was definitely busy. 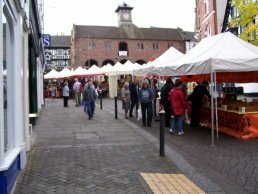 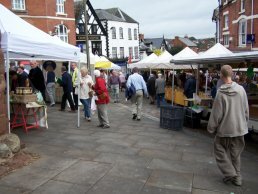 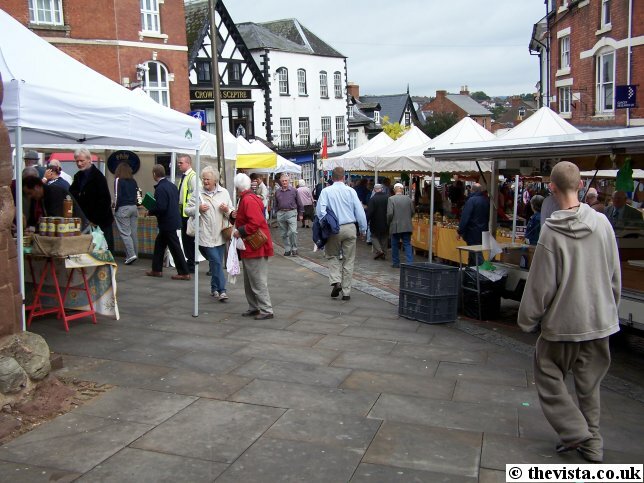 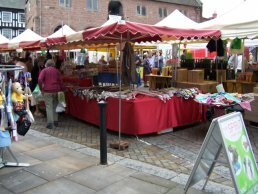 The market was in the Market Place and ran down Broad Street between the High Street and New Street, which has been the traditional site of the markets in Ross throughout history. 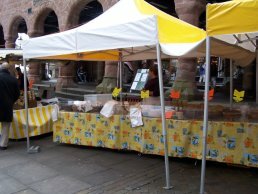 There were several cheese stalls, various sausages and salamis were available at the Charcuterie, many varieties of bread (baked "on-site") at the boulangerie and a stall selling types of cider, real apple juice, Calvados and Pommeau brought directly from Normandy. 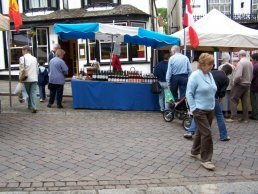 Other stalls were selling fresh pralines, crepes and omelettes (made on site), olives and dried or preserved fruit, cakes and pastries at the Patisserie, wine from a French producer, smoked hams from Italy and a whole stall dedicated to pâté and duck and goose products. 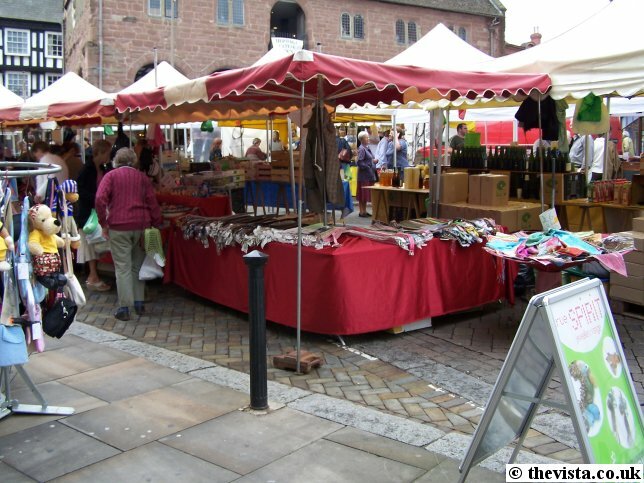 The market also had handbags, wallets, toys, clothes, French style house décor among other items of interest. 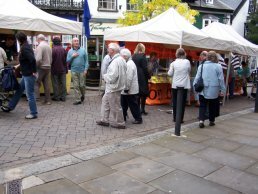 There were plenty of free samples to try on many of the stalls. 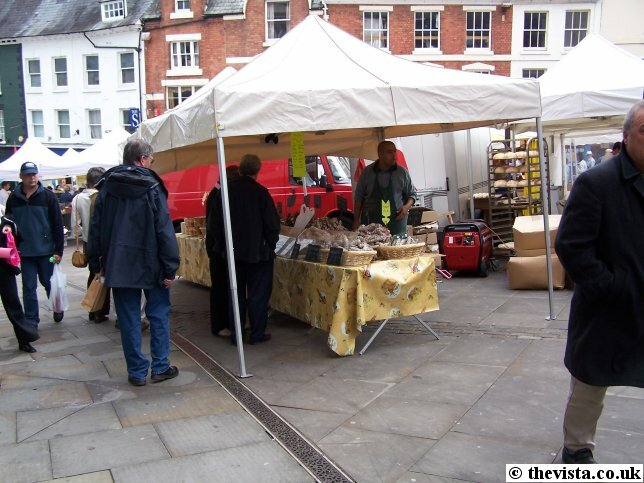 Personally we tried the Olive Bread from the bread stall which was great with a bit of butter on it. 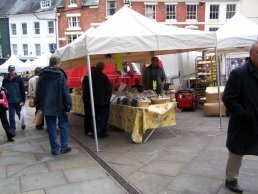 It was still warm when I bought it which enhanced the experience. We also had some of the French cakes (most of the ones we had seemed to involve pistachio as a filling or flavouring) and they were "interesting" and tasty but not something I would personally want everyday!